Can I blend frozen fruit? For the best results, we recommend partially thawing your frozen fruit before blending. Your frozen drinks will be smoother and you will extend the life of your blender. 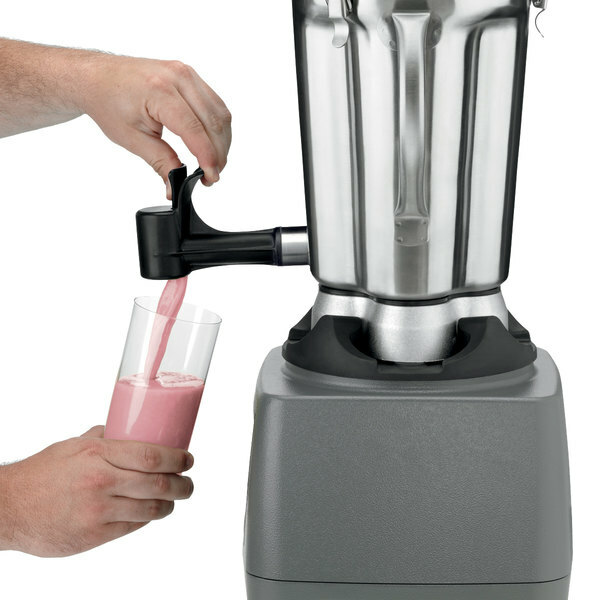 Blending fully frozen fruit could damage your blender and void the warranty. 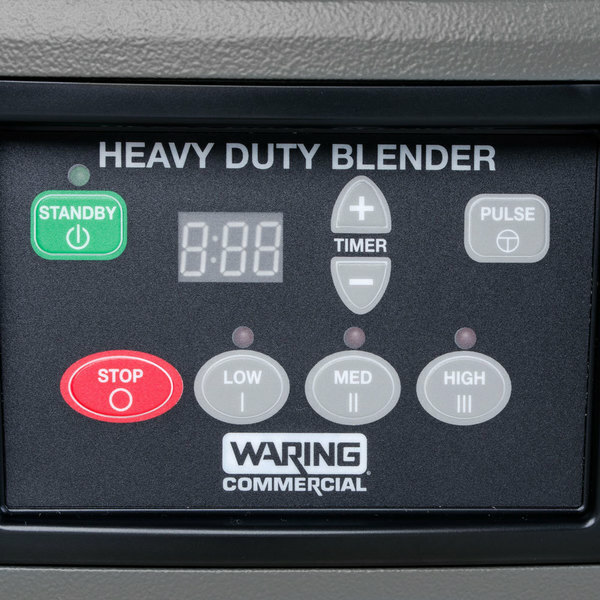 With a convenient spigot function and ultra-heavy-duty, 3 3/4 hp commercial motor, the Waring CB15TSF food blender makes it easy to create and pour up to a gallon of your most popular smoothies, mixed drinks, and more! And thanks to its built-in timer, you can automatically blend drinks to the right texture while turning your attention to other customer orders for greater efficiency. 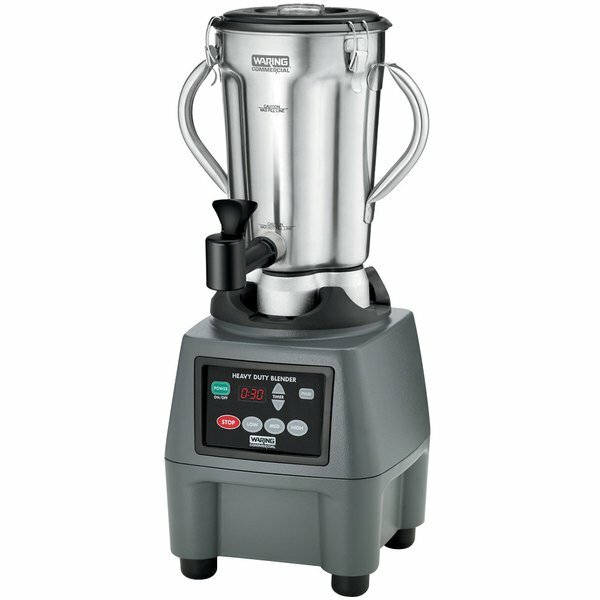 This blender effortlessly blends through large loads and is perfect for long blending times, too. 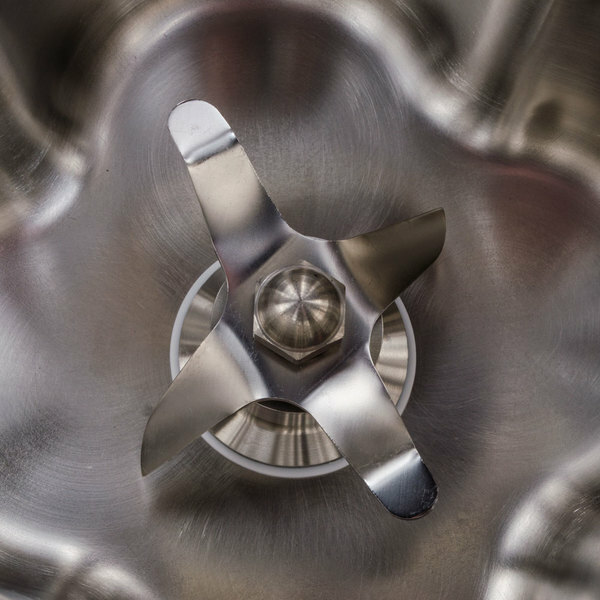 The Slow Start blending mechanism helps to break down larger foods before fully blending them, while the 3-speed selection and MAX PULSE function work to chop and mix with ease. This Waring blender comes complete with a 1 gallon, stainless steel container. 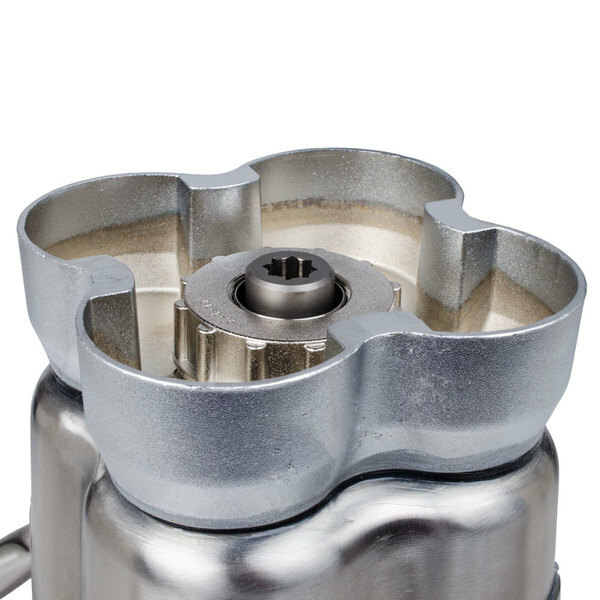 Two handles ensure safe, stable carrying and pouring, and lid clamps offer security during blending and transport. 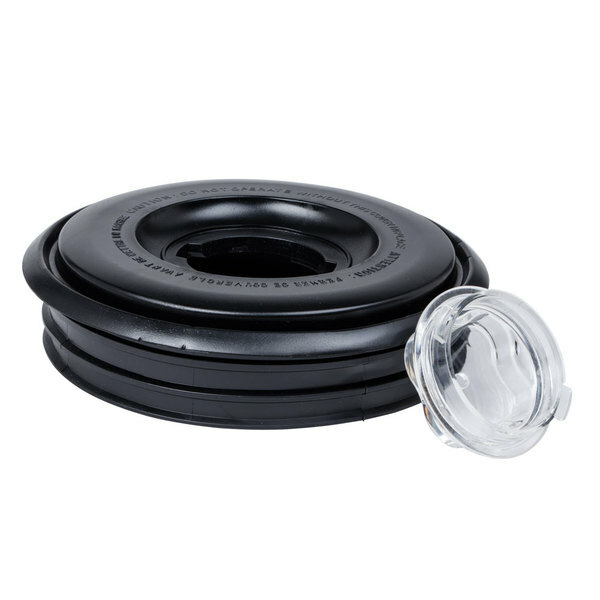 The easy-off, vinyl lid features a removable, clear cap, great for adding ingredients and for pressure reduction during hot food blending. The Waring CB15TSF is built to withstand the rigors of commercial use, with a high-performance, stainless steel blade, a full die-cast motor housing, and rugged rubber feet that reduce vibration. A metal-on-metal, stainless steel coupling system offers combined durability and reliability, while the easy-to-clean and easy-to-use electronic membrane keypad ensures an intuitive operation. Left to Right: 14 7/8"